Each and every one of Us is beautiful, so why not remind the world with a chic statement. If you’re looking for a cozy piece that will, literally, show others that you’re a beauty, then look no further! We spotted a trendy sweatshirt with words to live by for those days when you want to express yourself. Shop it here: Check out the J.Crew Beauté Sweatshirt at Nordstrom while it’s still in stock for only $55. 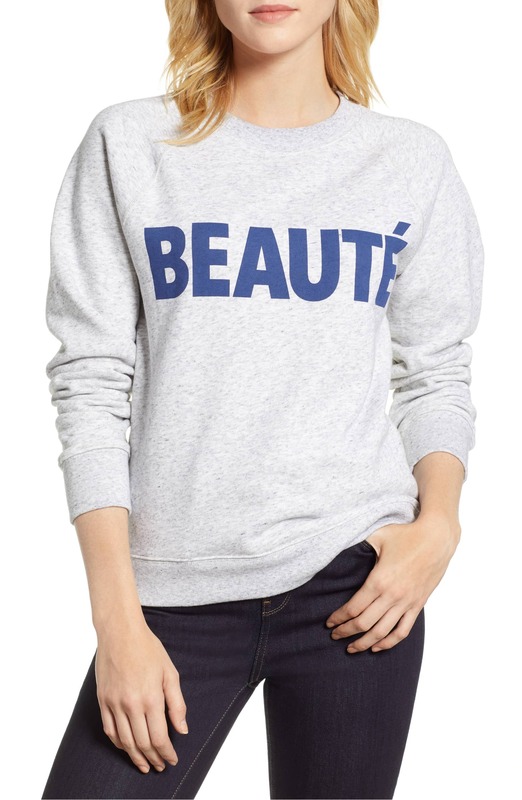 The J.Crew Beauté Sweatshirt is a cozy number that says it all — translated from French, beauté means beauty. Crafted with 100 percent cotton, this piece will keep you stylishly snug all day long. Its crewneck design and pullover construction combine style and wearability for a preppy finish. Priced at $55, this sweatshirt will look great with skinny jeans and sneakers. Team the top with leggings and sneakers for the ultimate sporty outfit. You can even switch gears with a pleated skirt, button-down shirt and mules for an effortlessly chic ensemble. Top this look off with a gold necklace to score major style points. 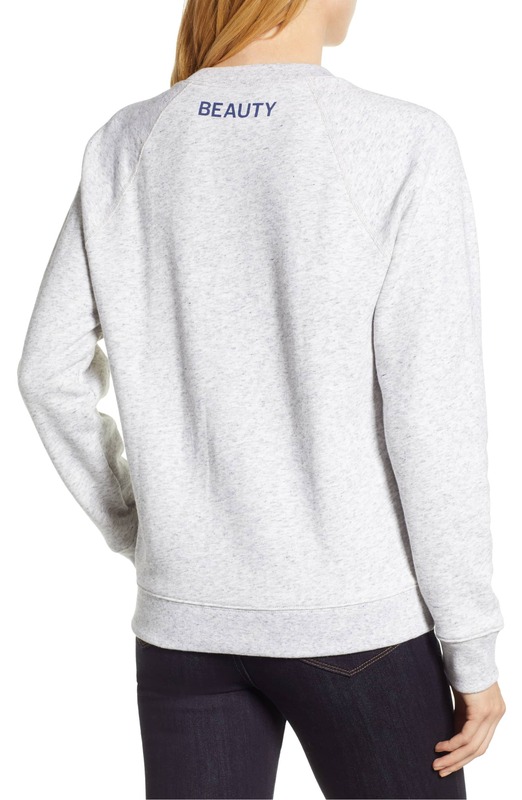 See It: Grab the J.Crew Beauté Sweatshirt at Nordstrom for only $55. Also available at J.Crew for $55.